The neutral earth tones in this room allow the company of many different colors from season to season, giving room for much versatility. 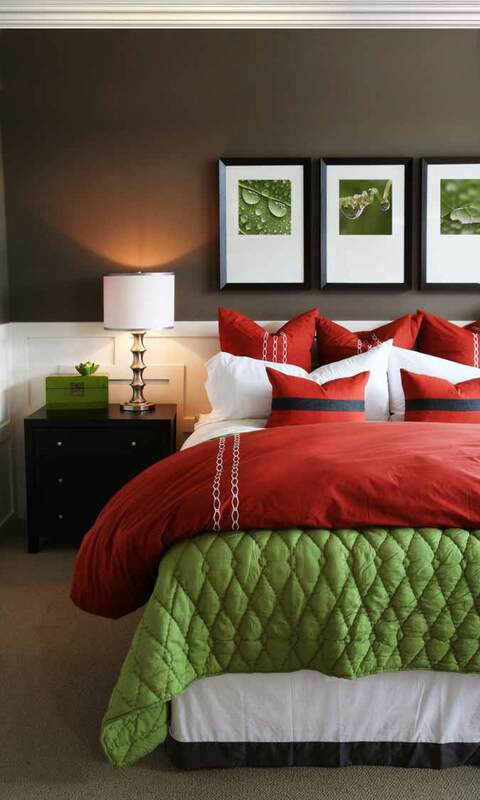 This room is beautifully done as pictured with an excellent use of color and texture. For this simple room with a 9'-10' tall ceiling the CM-1001 is a great choice. The white color of the molding is sure to be admired set against this chocolate brown wall, giving this room a very bold yet clean look. Who says white moldings can't be more fun? Added paneling on the lower portion of the wall adds yet more contrast to this room and also removes the aesthetic need for a headboard. This contemporary design was created using strips of MDF. 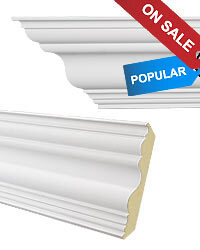 Sheets of this material are inexpensive, so the costs are low for this type of project. Since walls aren't perfectly straight, there can be more labor involved using MDF versus creating boxes from panel molding. .